Liviri Fresh was born from a simple question. Looking at one of this century’s most transformative movements — the rise of e-delivery — we asked ourselves: how can we use our product know-how to help ensure your business flourishes? With everything we know today, we believed we could do better. So we developed safer, cleaner and smarter cold-shipping boxes for moving fresh food to your customers. Backed by a brand with 20+ years of injection-molding expertise, Liviri Fresh is the result of industry thought leaders diving into real-word problems and producing answers. 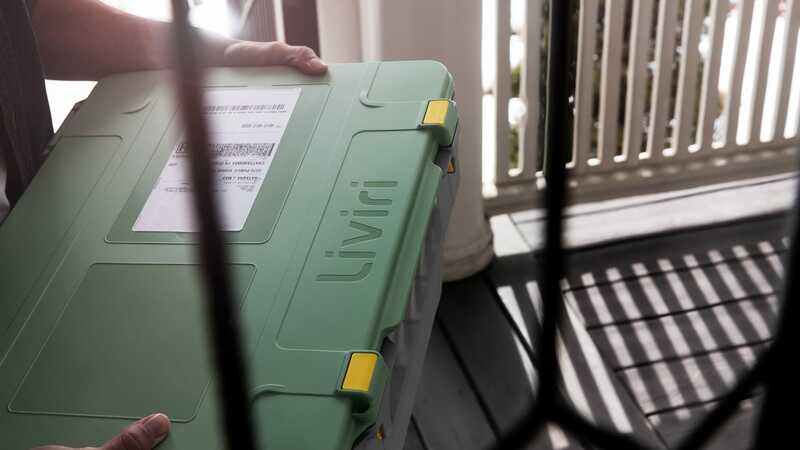 From blueprinting and testing to piloting and launching innovative new products, Liviri Fresh brings together aerospace-grade insulation and rugged, reusable designs for conquering your e-delivery pain points. Creating sustainable packaging that syncs with your needs was made possible at Otter Products’ Fort Collins, Colorado-based testing lab, where its Product Innovation Team played a critical role in both the final validation testing and the R&D stages that led to the final product. Injection molding core competencies also came into use. Learnings from the OtterBox Venture Series of groundbreaking outdoor coolers, specifically around plastics and tooling engineering, were integral to the Liviri Fresh design. Known as “The Pit”, Otter Products’ state-of-the-art prototyping facility is a good place to test a box’s mettle. It houses thermal chambers, drop and shock units, as well as abrasion and chemical testing equipment. This advanced simulation machinery allowed the Innovation Team to run Liviri Fresh through the kinds of real-world abuses it might endure while in transit, as well as the kinds of next-level assaults it hopefully doesn’t. In addition to testing for thermal performance, Liviri Fresh has been run through simulated distribution center and conveyor system perils. It’s been dropped off table tops and chucked off truck tailgates. And through it all, what’s emerged is a cold shipping container that’s as smart as it is strong. Back to the question that started it all: how can we help you? When you partner with Liviri Fresh, you’re getting a fully vetted cold shipping container from a team that specializes in bringing tenacious, trusted products to market. That means you can ship efficiently and effectively knowing that the quality of what’s packed inside is protected to the highest standards. From your business to their doorsteps, Liviri Fresh inspires confidence. More than that, it keeps happy customers hungry for more.